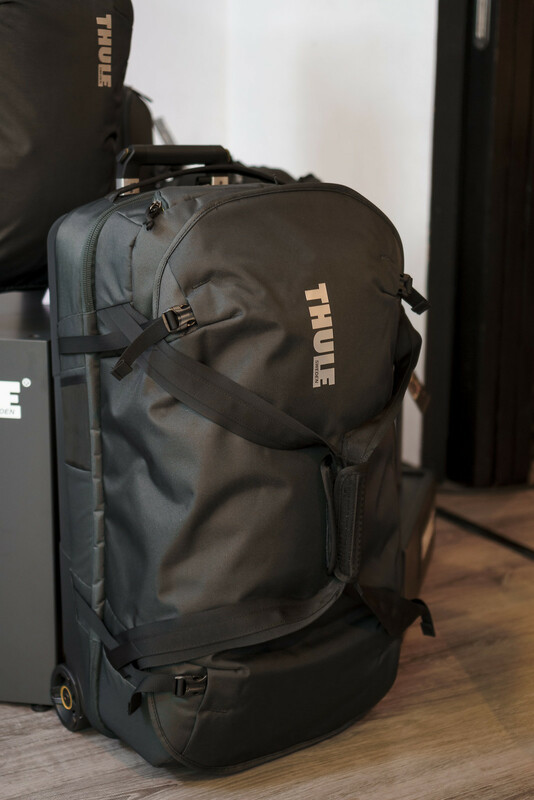 THULE is a brand I have always associated with rugged travel and adventure. Maybe it's because of those iconic roof racks you can't miss on large SUV's and pick-up trucks on the road. It's THE BRAND trusted by adventurers to keep their sports equipment and luggage safe. 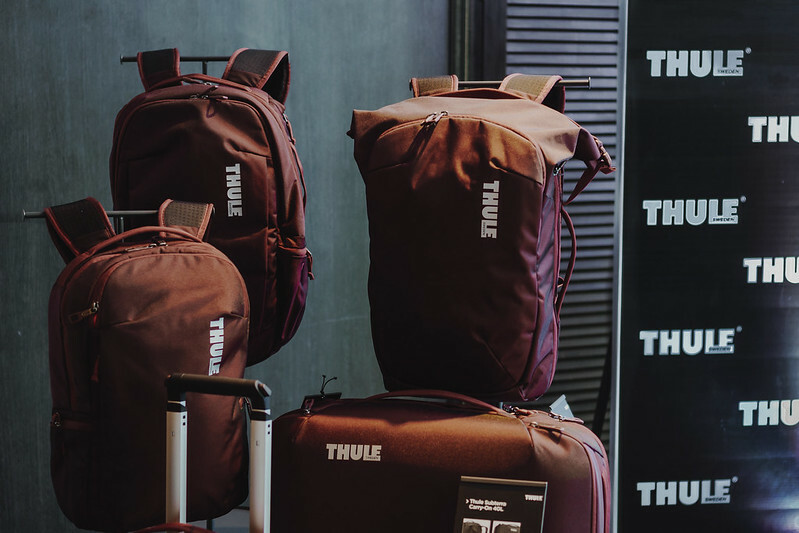 Now they're taking their product line a step further with toughened up, efficient, and multi-functional luggage for the modern traveler. 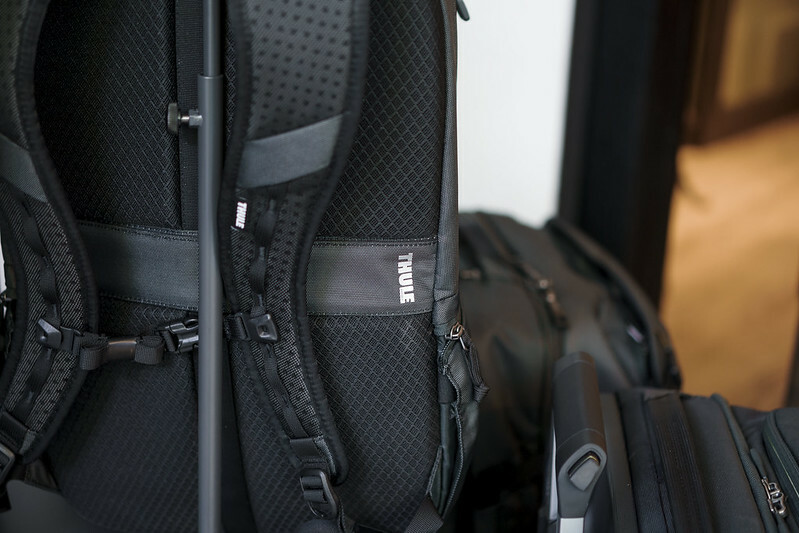 Meet THULE's new SUBTERRA TRAVEL BAG collection! 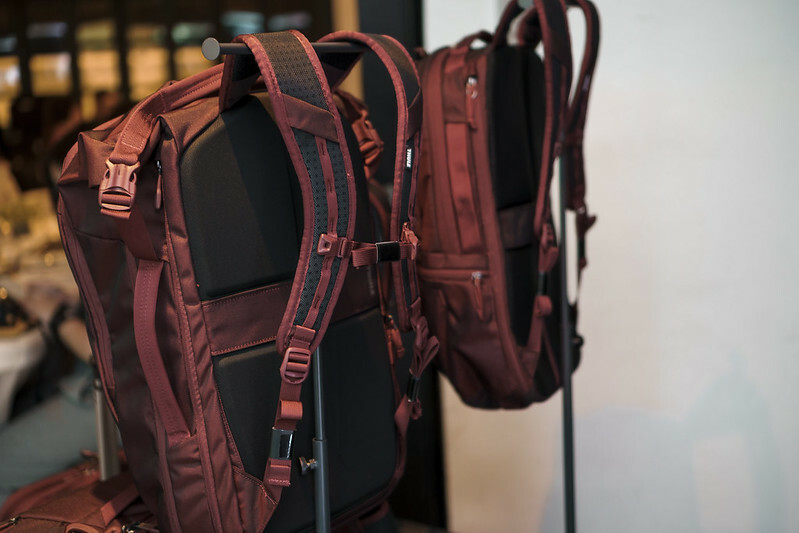 Backpacks include a padded laptop sleeve made with SafeEdge construction (can fit up to 15"), and an internal PowerPocket and packing cubes to organize all your cords, cables and clothes neatly. They also feature an adjustable (and removable) sternum strap for additional weight support as well as size zippers for easy access to laptops and many other design features to make traveling life less of a hassle. A versatile bag designed to help maximize packing space! Can be carried as a backpack or shoulder bag (straps neatly tuck away when not in use). 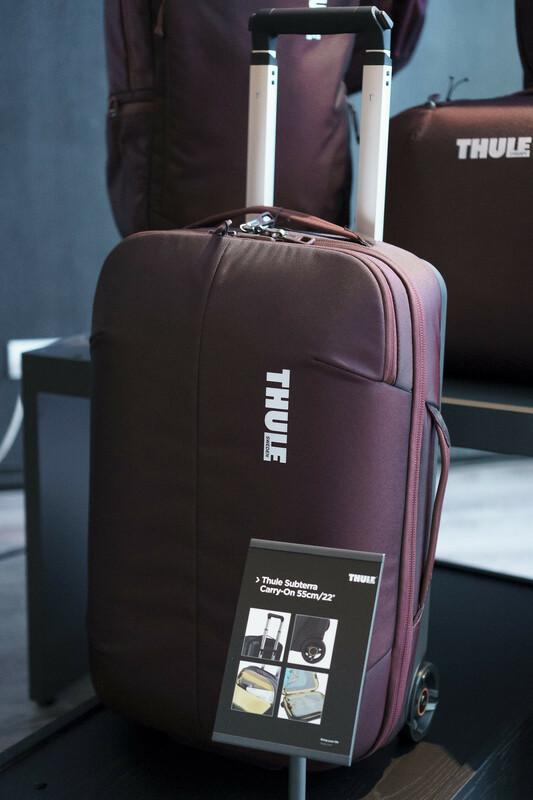 It also has a padded laptop sleeve, multi-purpose compartment which comes in handy for separating clean and dirty clothes, and Thule's signature PowerPocket for gadgets and accessories. This is where Thule differs and excels from other brands. 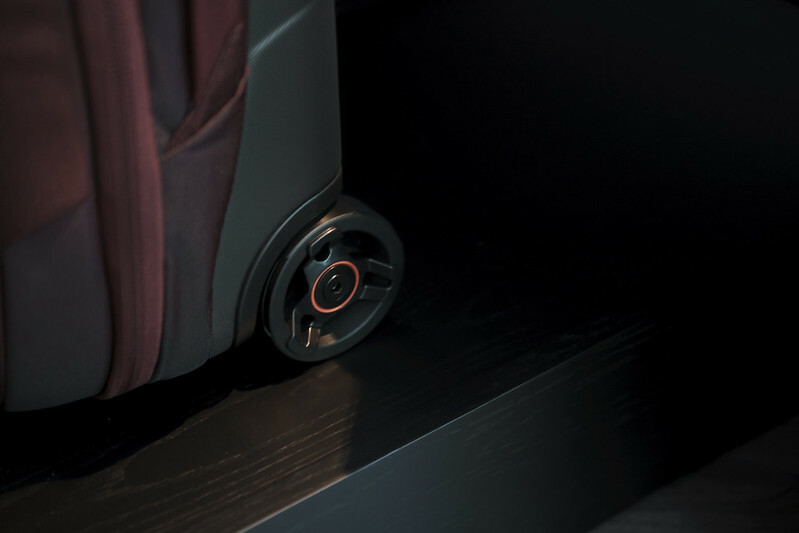 Their Subterra Luggage collection conveniently splits into 2 independent carry-on compliant pieces which gives you the freedom to choose between checking in a large bag or taking 2 smaller carry-ons with you! The stylish duffel also handles smoothly as it is reinforced with tough, oversized wheels and V-tubing telescoping which makes weaving through airport lines a cinch! My favorite feature of all? 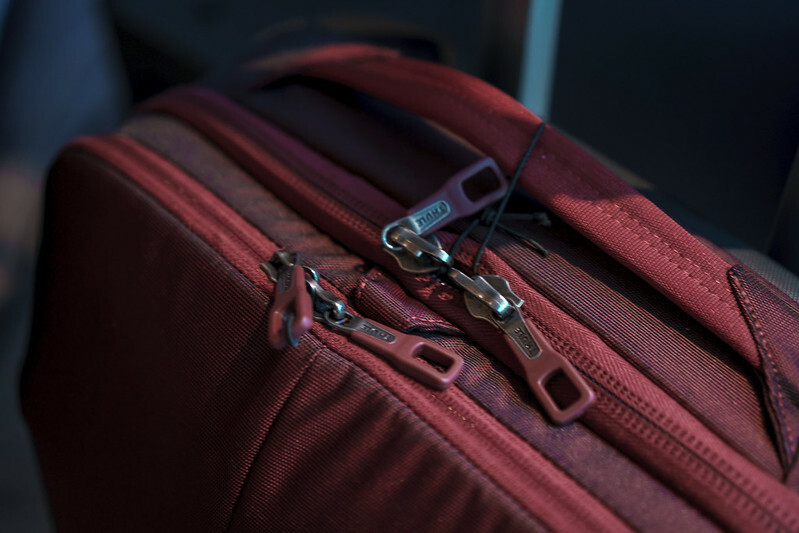 A piggyback strap attachment which allows you to attach a Thule backpack to your luggage! This is so important especially when traveling alone with loads of stuff. I appreciate the extra hands for carrying more bags or grabbing cash/passport easily. Also, less weight on our backs and shoulders is always a plus! 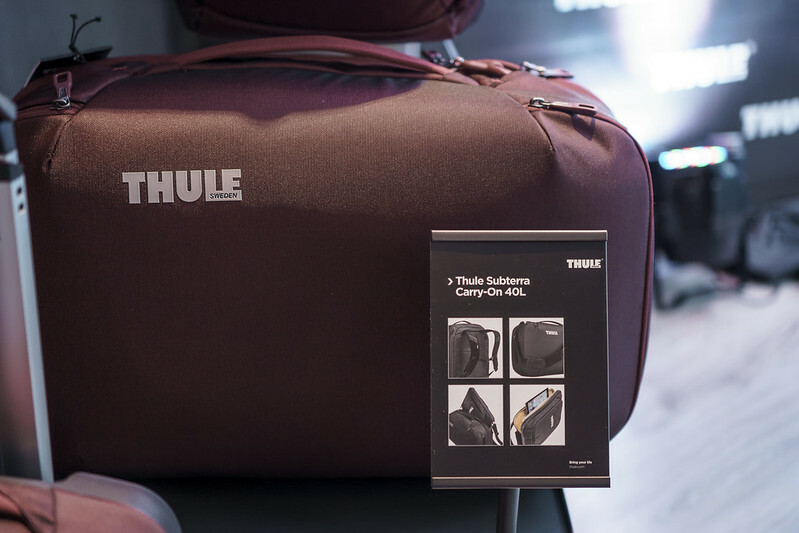 The THULE SUBTERRA TRAVEL BAG COLLECTION is NOW AVAILABLE at all THULE boutiques nationwide.